You have been out adventuring, exploring and enjoying the wilderness and outdoors. Protecting you from the elements were your outdoor and technical garments.Now when you have reached home, it is time for you to take care of them, to keep them lasting for many more trips to the wilderness. If this is your first season with new garments and equipment, you may be wondering how to ensure you are maintaining them well before storing. Here are some answers to the frequently asked questions. 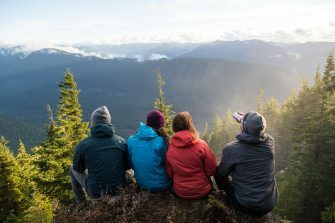 Why should you clean your outdoor and technical garment? You only used it a couple of times or had a heavy season out hiking. Regardless, there are many reasons why you should clean the garments that you wore. Washing your outdoor and technical garment removes dirt, eliminates odours and maintains any remaining water repellency. Washing them properly will also increase the performance and prolong the life of your garment, making sure they protect you longer. When should you wash your outdoor and technical garment? There are some common signs that it is time to give your garment a good wash. One would be the garment wetting out, which means that when it comes into contact with water, the water does not bead but instead soak in once in a while. This means that the face fabric is absorbing the water and it is time to reproof the piece of garment. Another sign is discolouration due to perspiration and contamination, which is not a good sign if the garment is made of Gore-Tex. Dirt ground into the material in high wearing areas such as the cuffs is another sign that it is time to wash your outdoor and technical garment. As a general rule of thumb, high output activities such as ski touring or hiking, will require you to wash the garment more frequently. For low output activities such as casually around town, you do not have to wash it as much. What should you use to wash your outdoor and technical garment? It is common to think “Why do I have to buy a cleaner for my gear when I have my normal detergent at home?” There are a few key differences that separates normal detergent and specific cleaners for outdoor and technical garment. Washing specialist outdoor and technical garment in normal detergent may make them smell a bit better but it can also impair their performance. Additives that are imbedded during the normal washing cycle might be good for ordinary clothing but affects the breathability and water-repellency of outdoor and technical garments. We recommend specially formulated wash-in cleaners such as Grangers Performance Wash when washing outdoor and technical garments. A technical cleaner such as the Grangers Performance Wash gently removes dirt, eliminates odours and remove harmful residue build-up, while maintaining any remaining water-repellency. It is also recommended as a pre-wash to any water-proofing treatment. Grangers Performance Wash is also Bluesign® approved. Grangers Performance Wash is suitable for Gore-Tex® and eVent® linings, waterproof, windproof, soft shell and fleece garments. How to prepared your outdoor and technical garment for washing? Close the zips of the main and pits if there are. Release the tension on all elastic drawcords which may be found at the hood or at the hem. Open any pocket zippers. If there are cuff Velcro on the sleeves, loosen and secure them. It is recommended to use a front loader washing machine. If you have a top loader with an agitator, place the down garment in a wash bag to protect it. 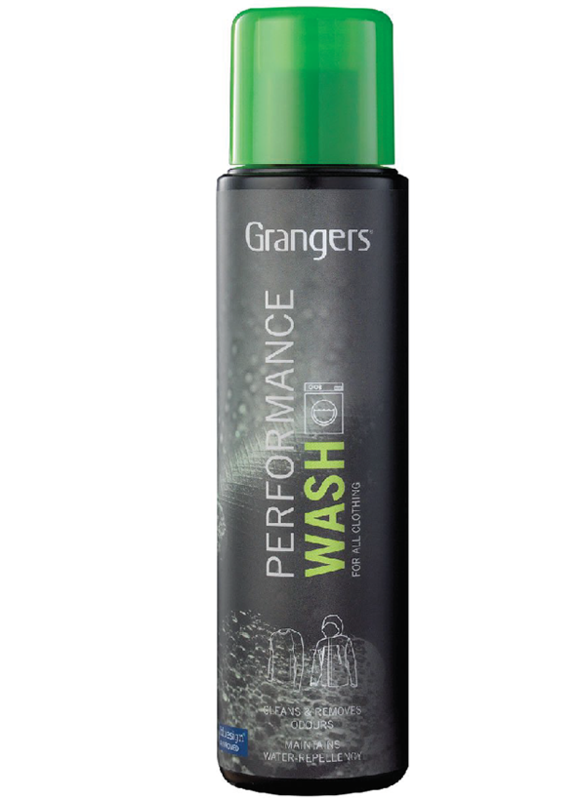 With the Grangers Performance Wash, add a 50ml capful per large garment or two smaller garments. If hand washing, half a cup will do. Pour the product directly into the detergent drawer of the washing machine. Wash on a full cycle at 30°/86°F or according to care label instructions. Double rinse to ensure all the washing liquid is out of the down. If your outdoor and technical garments are still beading water, the next step is to place it in the dryer. If not, it means that it is wetting out and you will have to treat it with a Durable Water Repellency (DWR) spray. For water-proofing your outdoor and technical garment, we recommend that Grangers Performance Repel. 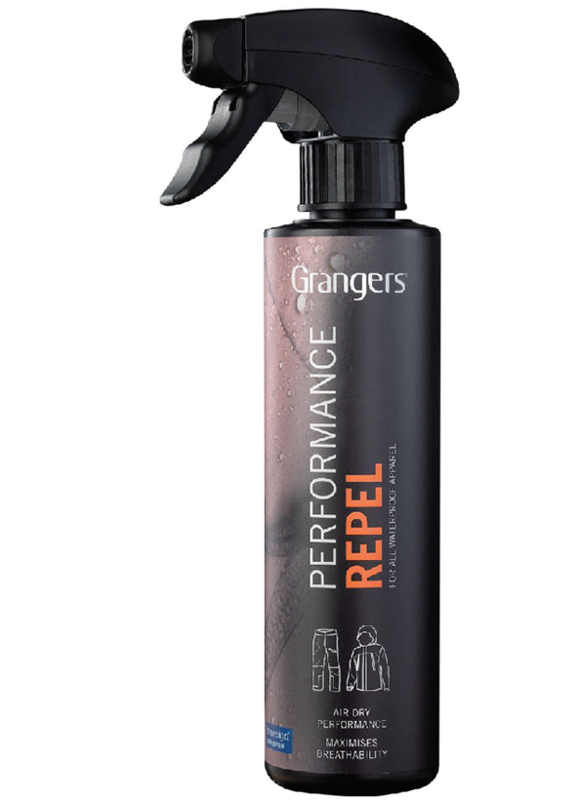 The Grangers Performance Repel is a specially formulated water-proofing treatment to restore the water-repellent finish of all technical fabrics. It is simple to use, harmless to the environment and your lungs. All you need to do is spray it on the garment and allow it to dry. Grangers Performance Repel maximises breathability while adding durable water repellency. It is Bluesign® approved, PFC-free and is effective without heat activation. Hang the garment up on a rack. Spray directly onto a freshly-cleaned, damp garment from roughly 10-15 cm away. Target on areas that have a tendency to have abrasion as DWR coating may be removed due to washing or abrasion in everyday wear. Allow to dry naturally or follow your care label’s drying instructions. How to dry your outdoor and technical garments? Place the garment in the dryer. Set the temperature at regular. Set the timer to approximately 40 minutes. The garment should be dry to the touch when you pull it out of the dryer. Is there a faster way to wash and treat my outdoor and technical garment? You would like to treat and maintain your outdoor and technical garments but do not have the time for the multiple wash cycles? 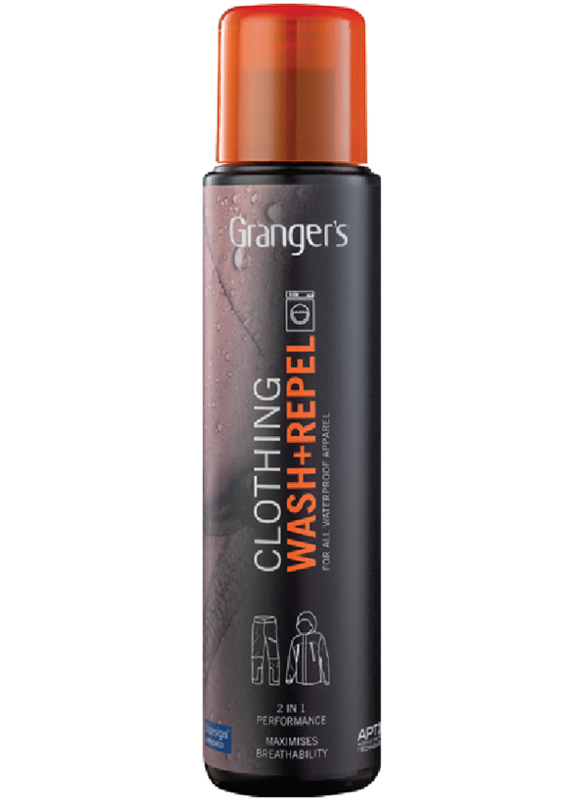 We would recommend using the Grangers Wash + Repel Clothing 2 in 1. With the Grangers Wash and Repel 2 in 1, you will require less energy and water while still providing superior protection. As a Grangers exclusive, there is nothing like it on the market. This PFC-free, Bluesign® approved, durable waterproofing treatment is specially formulated to clean and restore the water-repellent finish of all technical garment. Grangers Performance Wash is suitable for Gore-Tex® and eVent® linings, waterproof, windproof, soft shell and fleece garments. You will have to prepare your outdoor and technical garment the same way stated as above. For best results, we recommend reproofing garments separately. With the GrangersWash and Repel 2 in 1, add 2 50ml capfuls per garment. Heat activation is required. Tumble dry on a low-medium heat, or apply heat using an iron or hairdryer. For more information, you may check out the Arc’teryx video below regarding washing outdoor and technical garments. Now, your outdoor and technical garment is ready to protect you on your next adventure!